Angle heads - descriptions, photos and technical specifications, global manufacturers. Send inquiries to the manufacturers and contact them directly. The TO16 is a angle head complete with supporting structure and servomotors for 5 axis machines CNC. 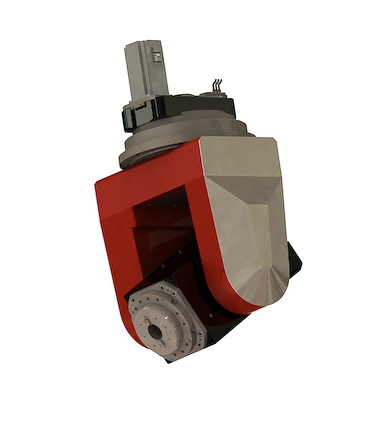 This angular head is provided with a spindle supplying a power of 12 kW at 4.500 rpm, water cooled, with bored shaft and VEM patented water joint for the water passage. Angle head has rapid tool change with pneumatic piston and ISO 40 tool attachment.